Synopsis: For Peter Parker (Andrew Garfield), life is busy between taking out the bad guys as Spider-Man and spending time with the person he loves, Gwen Stacy (Emma Stone), and high school graduation can’t come quickly enough. Peter hasn’t forgotten about the promise he made to Gwen’s father to protect her by staying away – but that’s a promise he just can’t keep. Things will change for Peter when a new villain, Electro (Jamie Foxx), emerges, an old friend, Harry Osborn (Dane DeHaan), returns, and Peter uncovers new clues about his past. Review: The Amazing Spider-Man 2 may be far from being the perfect superhero movie, but as far as Spider-Man movies go, the film has now taken over the mantle from Sam Raimi’s Spider-Man 2 as the best Spider-Man movie so far. It may not boast the best action sequences, or the tightest of editing (at almost two and a half hours, the film runs way too long), but it is certainly the film that is closest in spirit to the comic book version of Spidey. One of the criticisms of the first installment in the Spider-Man reboot was that it took too long to get the establishing story out of the way, but it does pays off partially in this sequel. Although it’s clear that The Amazing Spider-Man 2 cost a pretty penny to make – the 3D is surprisingly decent throughout, and the CGI, particularly in the final showdown with Electro, is as good as it gets these days – what really makes the film stand out is in the “smaller” sequences. There’s no doubt that being a real-life couple makes the chemistry between Andrew Garfield and Emma Stone easily the best and most tangible in any superhero movie to date (far better than the Tobey Maguire-Kirsten Dunst pairing in the original Spider-Man trilogy, at the very least), but even other characters also get a chance to shine. Sally Field particularly impresses (again) as Aunt May, and her performance is the strongest one in the film despite a rather limited screen time. Unsurprisingly, the most emotionally engaging scenes in The Amazing Spider-Man 2 are when everyone is out of their costumes. For a Summer action blockbuster, The Amazing Spider-Man 2 is surprisingly light on action, and although the limited action sequences are all well choreographed and make good use of technology, I suspect that many moviegoers will still have preferred something that isn’t so skewed in favour of exposition and storyline, especially since the first installment already spent a good amount of time doing the same. There’s no doubt that the film is a little durdly, particularly in the middle, but the eventual payoff does make it somewhat worth the time. The single largest misstep in The Amazing Spider-Man 2 is its entirely forgettable villains. Electro is the worst offender, and though he is supposed to be the central villain, he is such a broad caricature – bringing to mind Jim Carrey’s Riddler in Batman & Robin – that it’s impossible to take the character seriously. Even an accomplished actor like Jamie Foxx can’t do much to rescue a character that is this poorly written and developed. While Harry Osborn/Green Goblin is significantly better written, with Dan DeHaan doing a capable enough job, his introduction and eventual transformation does seem rather rushed, and it’s surprising to see such a major villain in the comic book series getting such short shrift in the film. And the less that’s said about the Rhino and Norman Osborn the better – suffice to say that it’s a colossal waste of talent for both Paul Giamatti and Chris Cooper. With The Amazing Spider-Man 2, Marc Webb and his creative team have managed to create a Spider-Man that’s closest to the comic book version, but despite the positives of the film, it very nearly comes apart at the seams due to its flaws. Whether one would enjoy the film depends very much on how much weight is placed on the film having an emotional centre, which in my opinion is one of the things that the film manages to get very right. 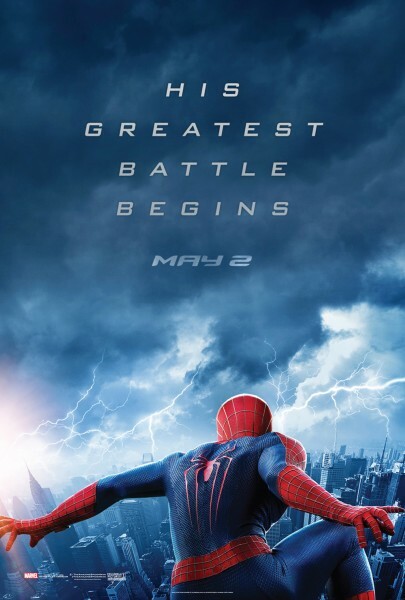 With The Amazing Spider-Man 3 slated for a 2016 release, hopefully the franchise will finally hit its stride in its third outing, and deliver the best Spider-Man movie yet.